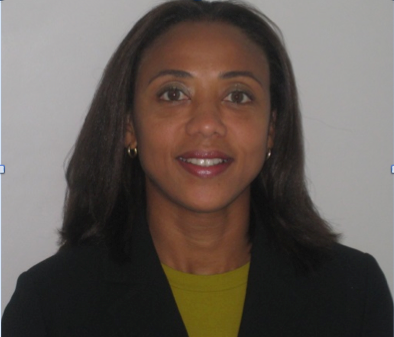 UN Secretary-General Ban Ki Moon has appointed Ms. Michelle Gyles-McDonnough, a national of Jamaica, as the Resident Coordinator of the United Nations System’s operational activities for development in Malaysia, effective July 1, 2013. Ms. Gyles-McDonnough also will serve as Resident Representative of the United Nations Development Programme in Malaysia, with additional responsibility for the Republic of Singapore and Brunei Darussalam, and will have overall responsibility and team leadership for the coordination of UN development activities in these three countries. Ms. Gyles-McDonnough leaves Barbados on 29th June after a successful five-year tenure as UN Resident Coordinator and UNDP Resident Representative for Barbados and the OECS. During her tenure, she significantly raised the visibility of the development challenges facing small island developing states and mobilized other development partners to work together with the UN to support Barbados and OECS member states to address the impacts of climate change; make the transition to more sustainable energy future; strengthen capabilities to assess and manage disaster risks and impacts; and improve citizen’s security, well-being and life chances, among other key development areas. Prior to her posting in Barbados and the Eastern Caribbean, Ms. Gyles-McDonnough was Programme Adviser in the Executive Office of UNDP, and Regional Adviser in Jamaica. She has also served in the United Nations as Coordinator for the Grenada Recovery Programme following Hurricane Ivan in 2004, and Chief — UNDP Caribbean Sub-Regional Resource Facility in Trinidad and Tobago which she was instrumental in establishing in 1999. Before joining UNDP, Ms. Gyles-McDonnough worked with the Organisation of American States (OAS) in Washington D.C. as Member of Cabinet and Adviser to the Secretary-General. She was Legal Adviser/Alternate Representative for the Embassy of Jamaica and Permanent Mission of Jamaica to the OAS, and also practised with Winthrop Stimson Putnam and Roberts as an Attorney specializing in international trade. Ms. Gyles-McDonnough began her career in 1990 in Zimbabwe as a Law Clerk for Harare Legal Projects Centre. Ms. Gyles-McDonnough holds an M.A. in Public Administration from Harvard University, John F. Kennedy School of Government, USA, a Juris Doctor (with honours in International and Foreign Law) from Columbia University School of Law, USA, and an A.B. in Economics with a minor in French from Bryn Mawr College, USA. She will move on to the South East Asia region, initially with her two children, Sydney (age 11) and Liam (age 7). Ms. Gyles-McDonnough is married to Ambassador Lorne McDonnough, CEO of the CARICOM Development Fund.